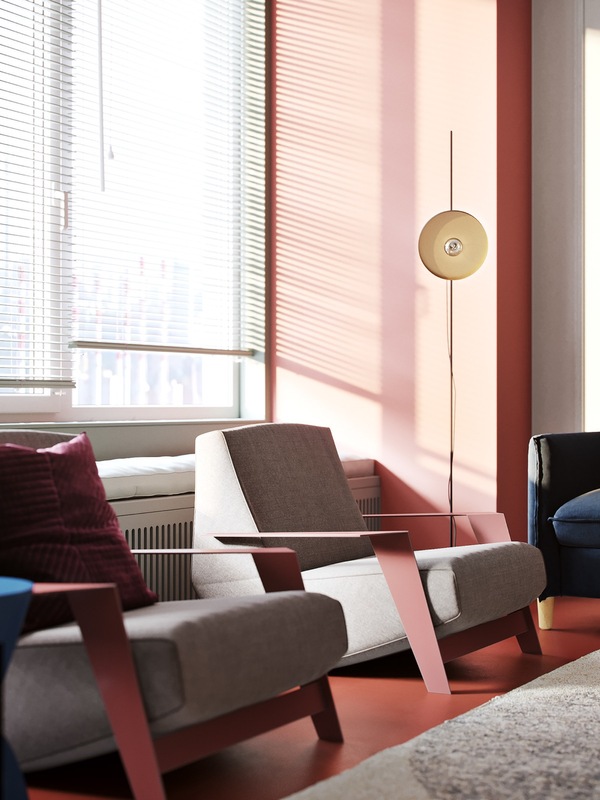 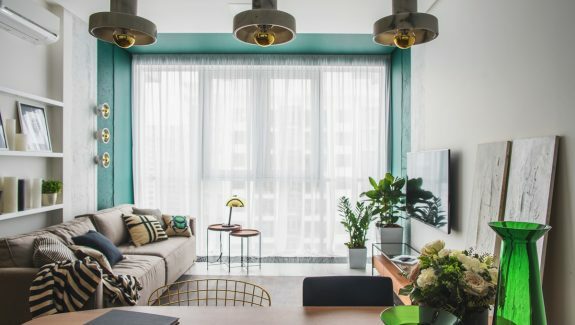 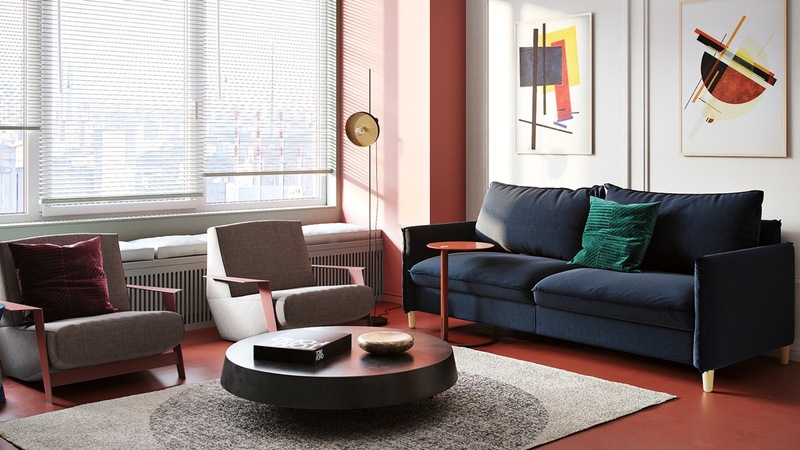 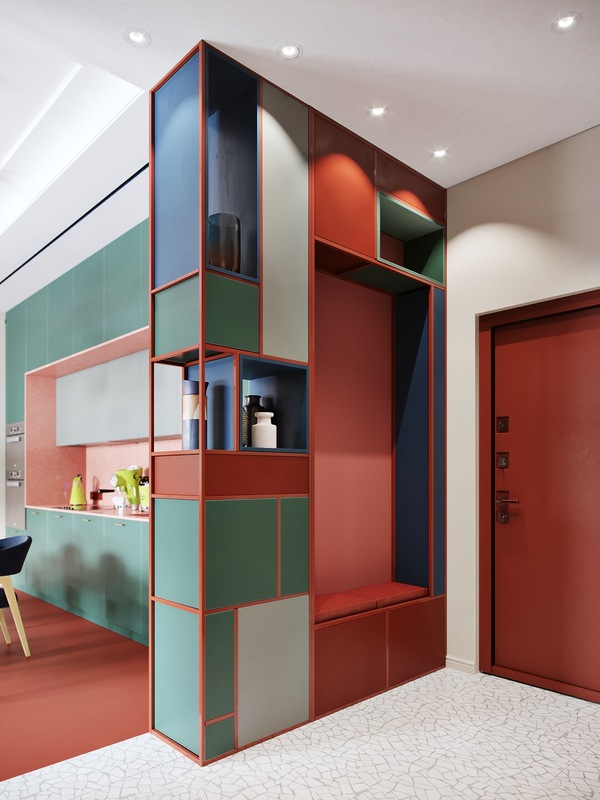 A striking vision of rich colour, this 80 square metre modern apartment interior was designed by ATO Studio. 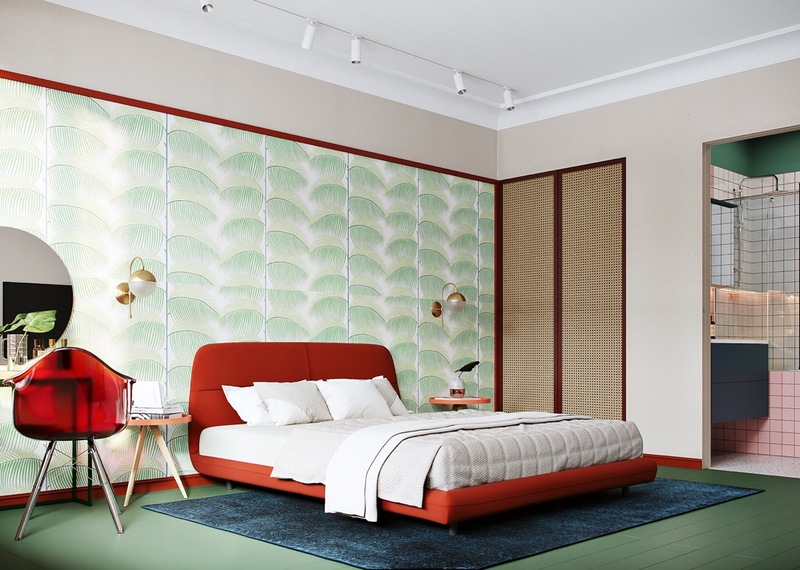 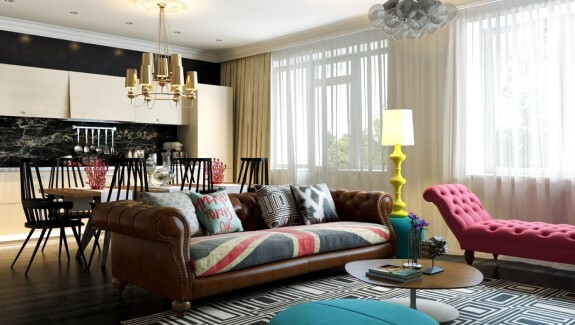 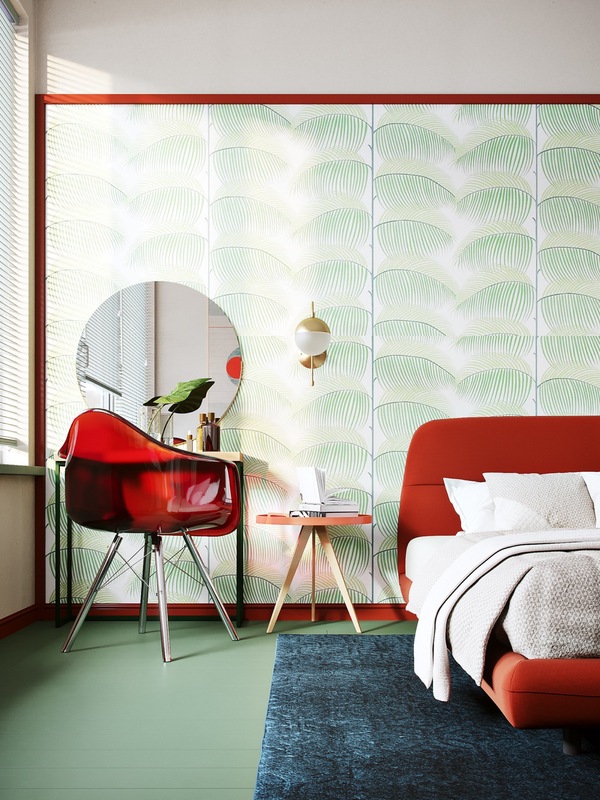 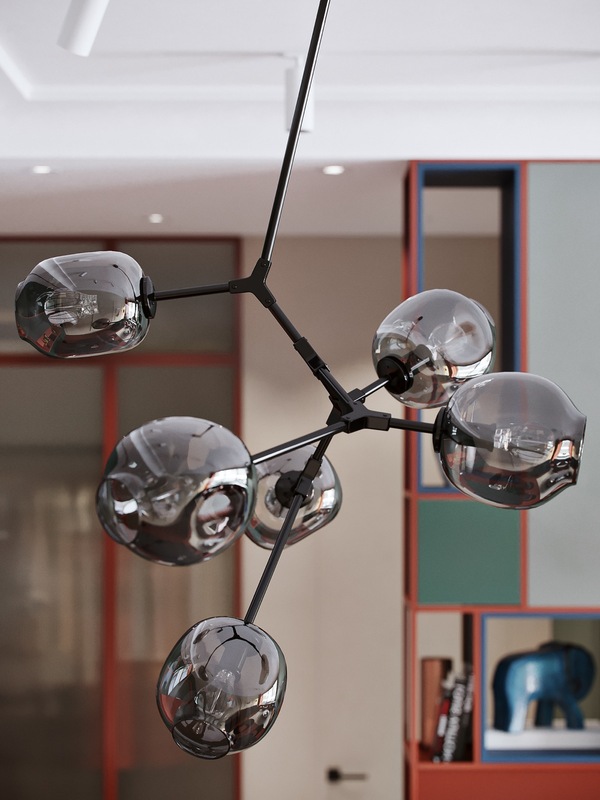 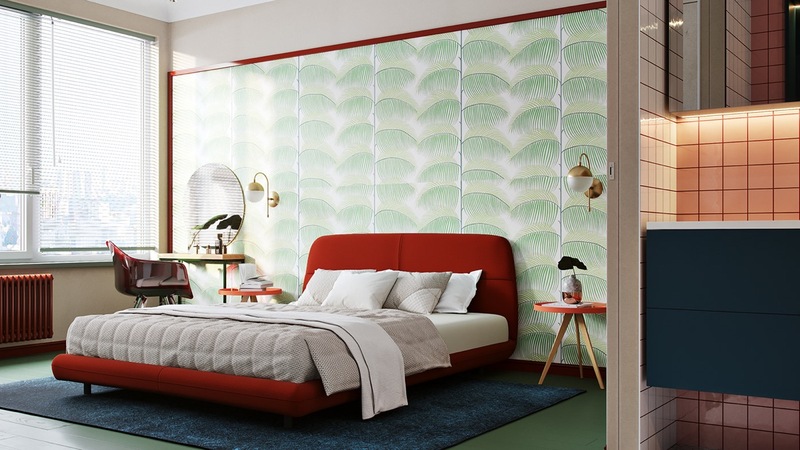 Located in Moscow, Russian Federation Area, the home has a seriously arty air throughout. 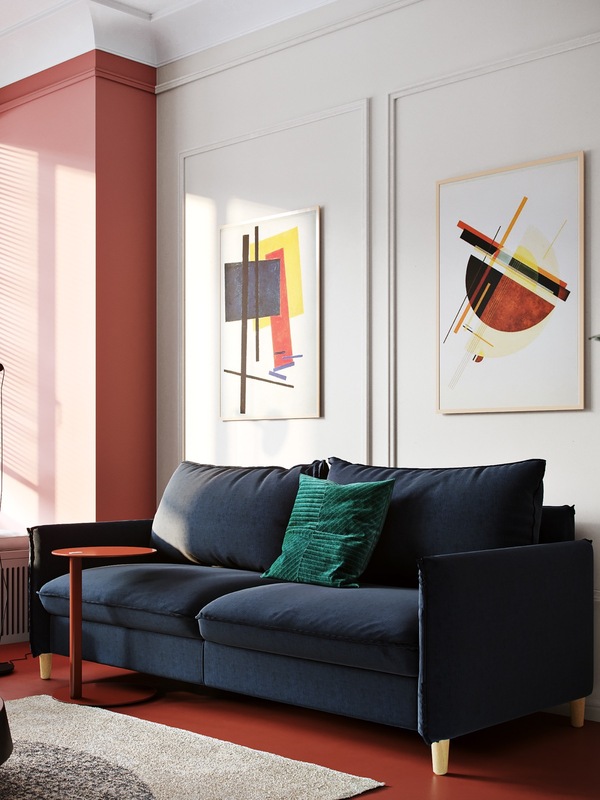 The lounge holds two modern paintings in colours that seem to have been the muse for this decor scheme - both in palette and cubist nature. 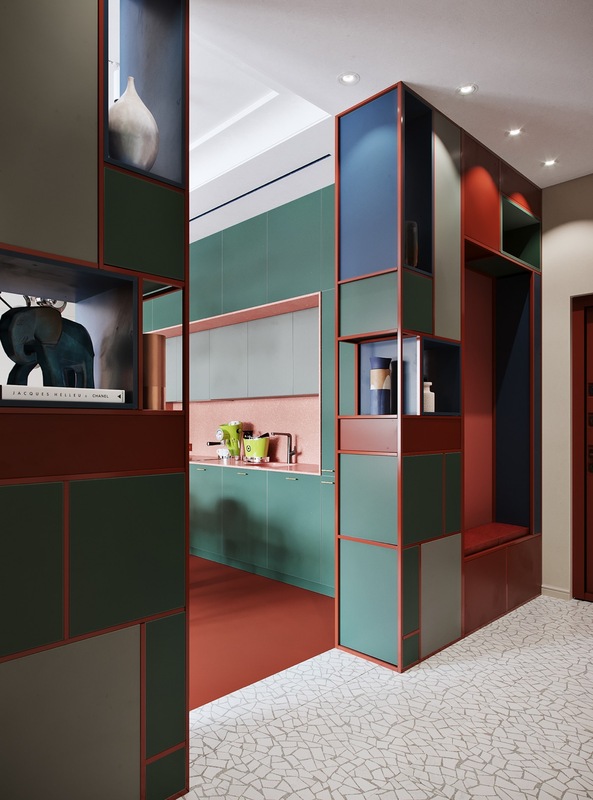 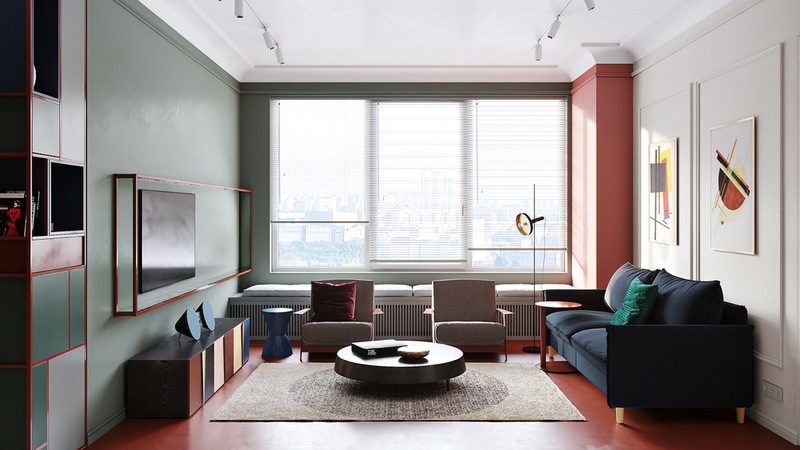 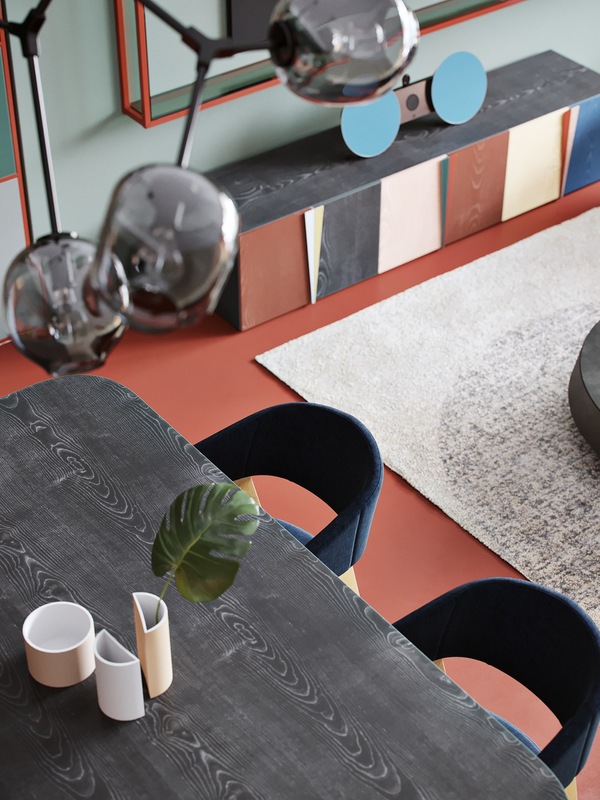 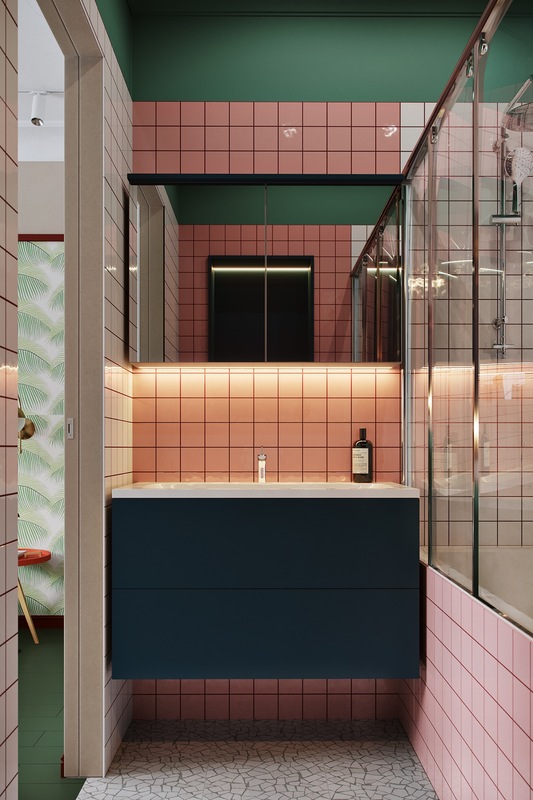 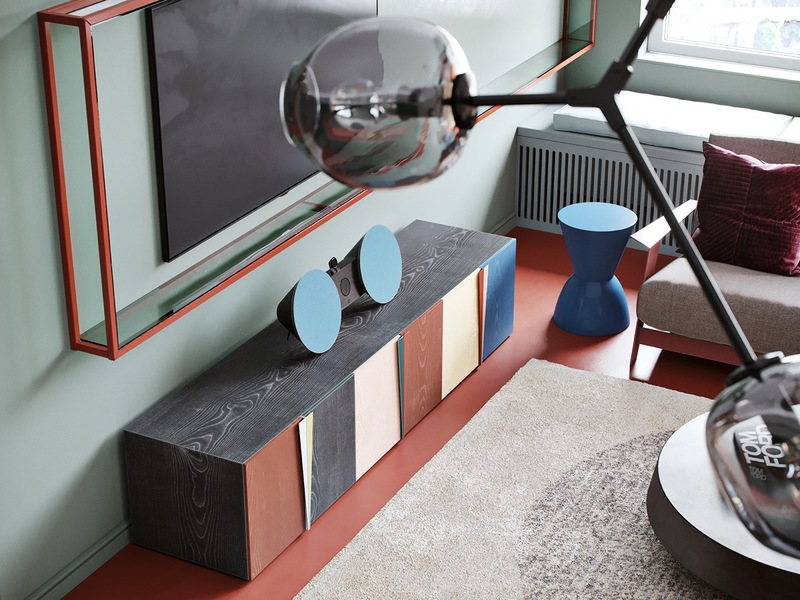 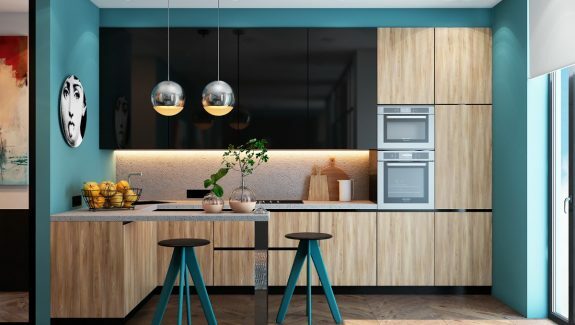 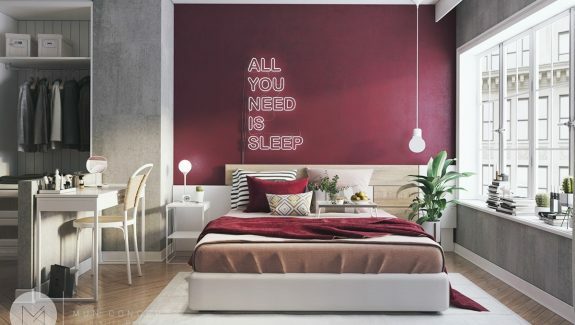 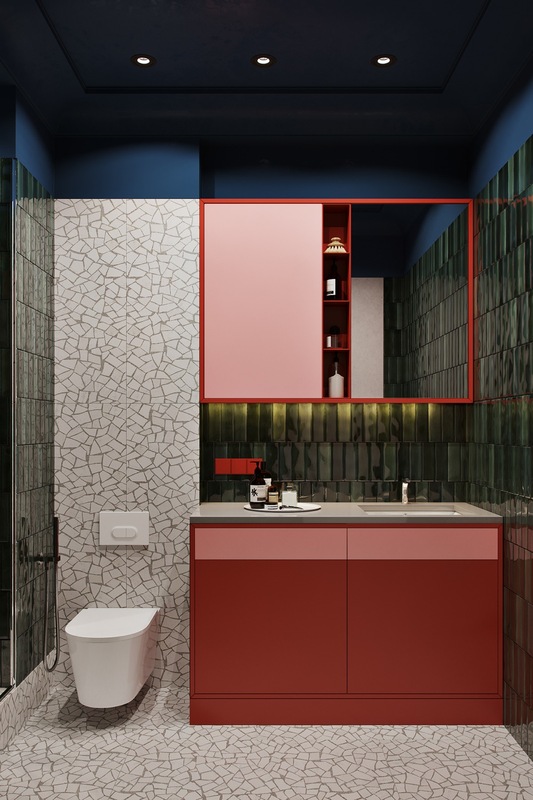 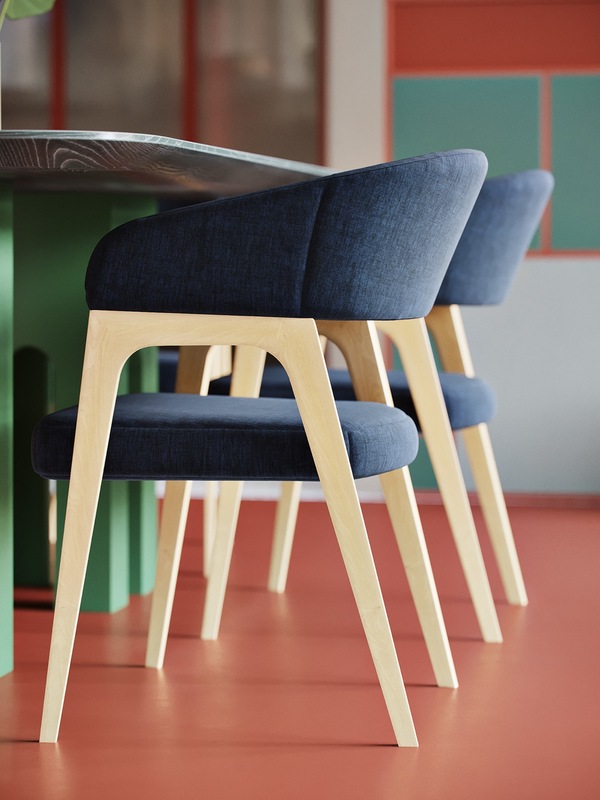 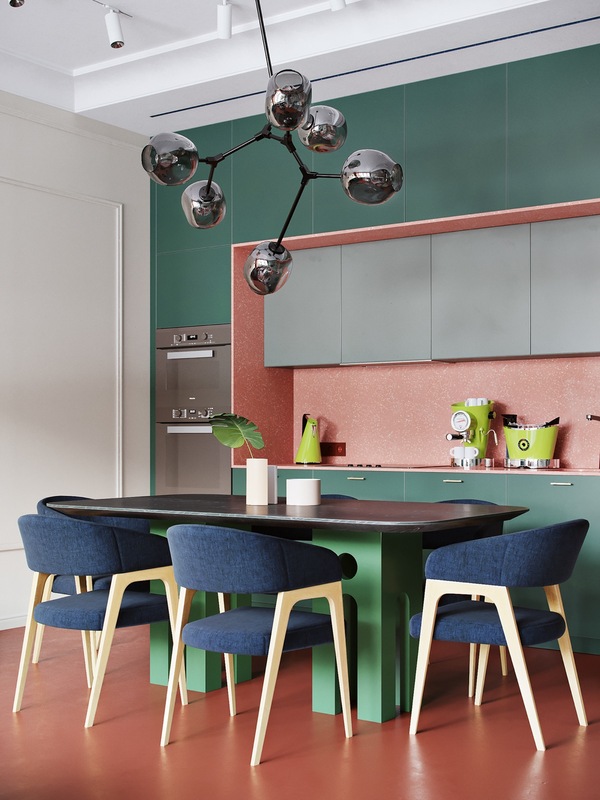 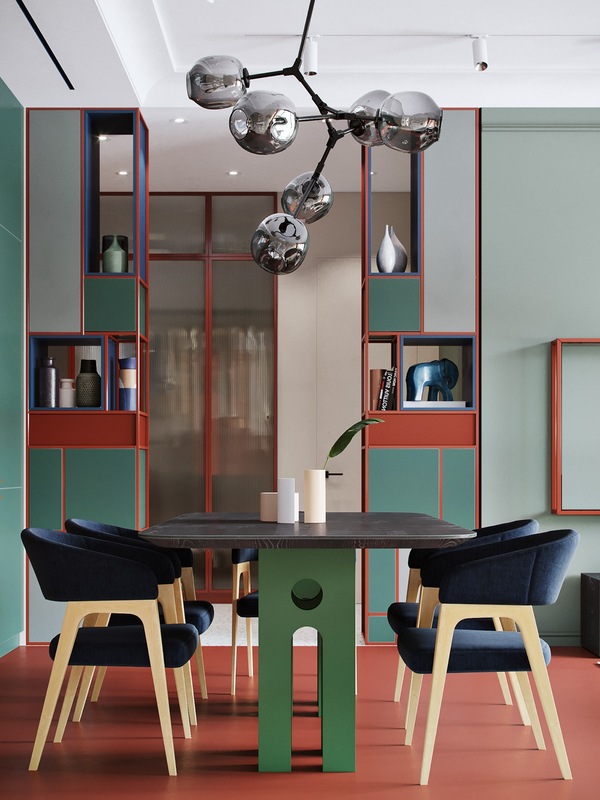 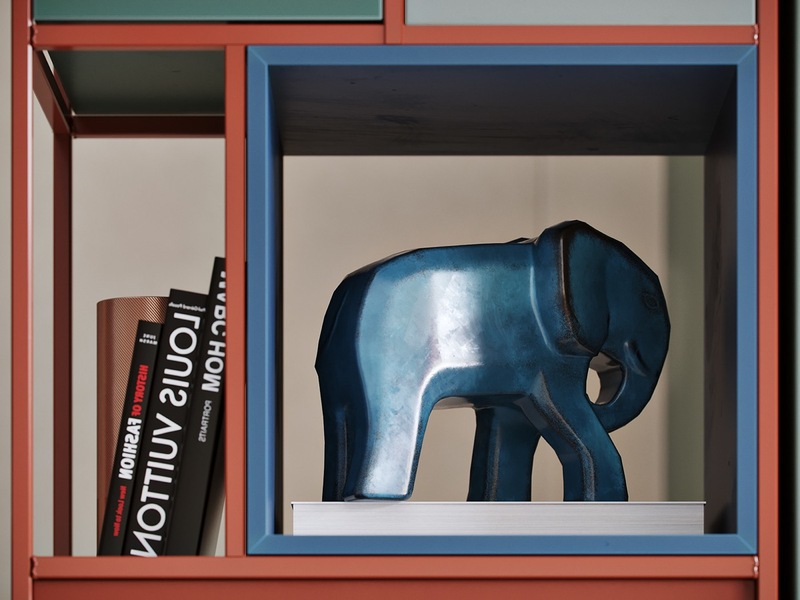 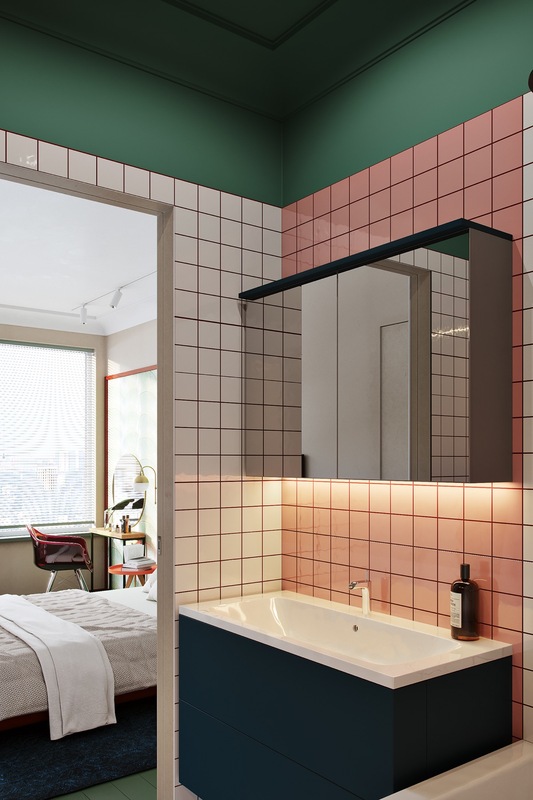 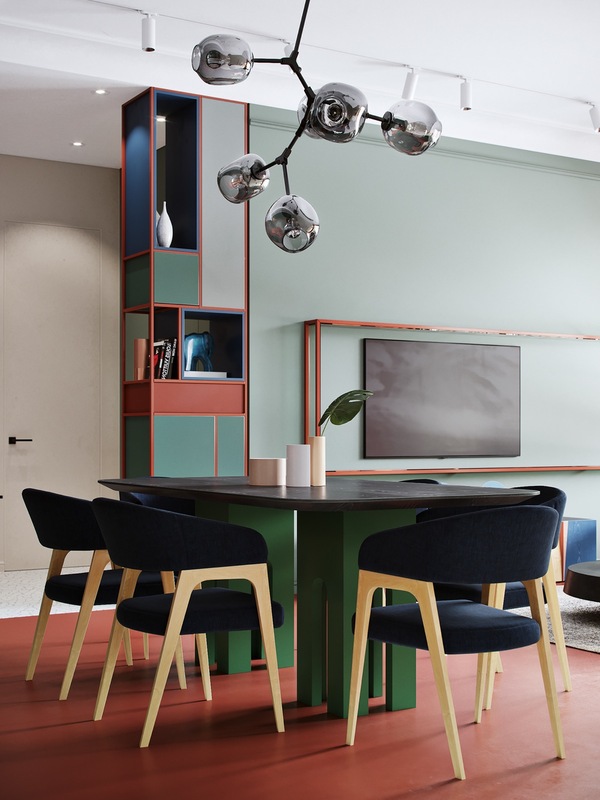 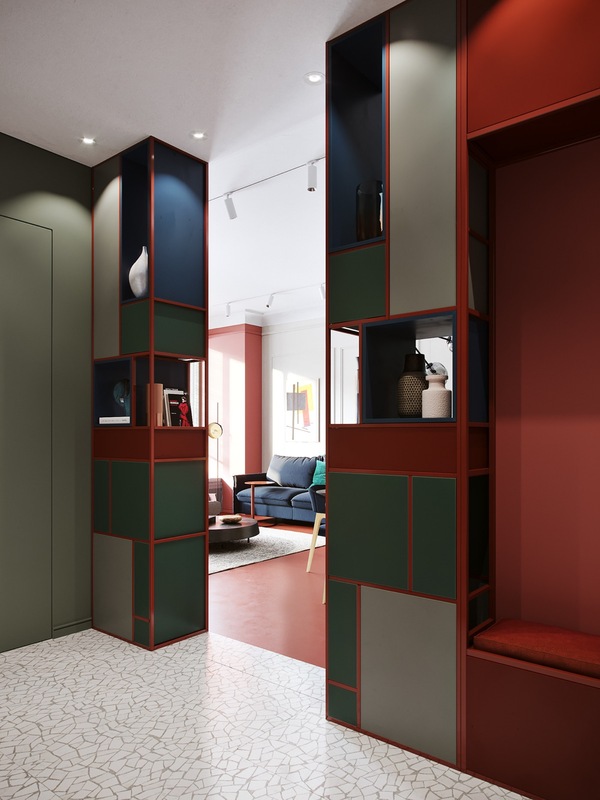 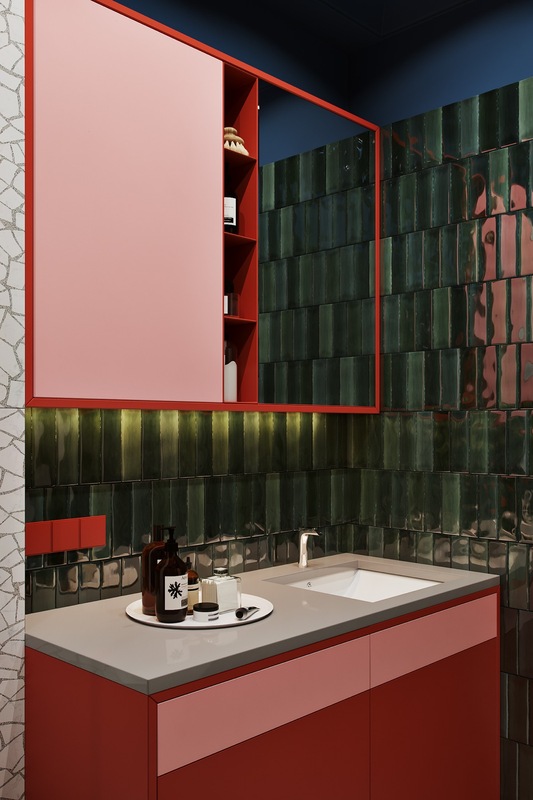 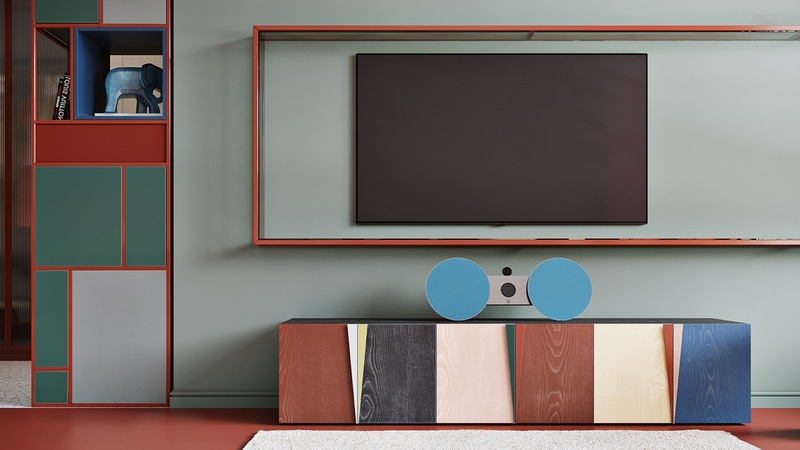 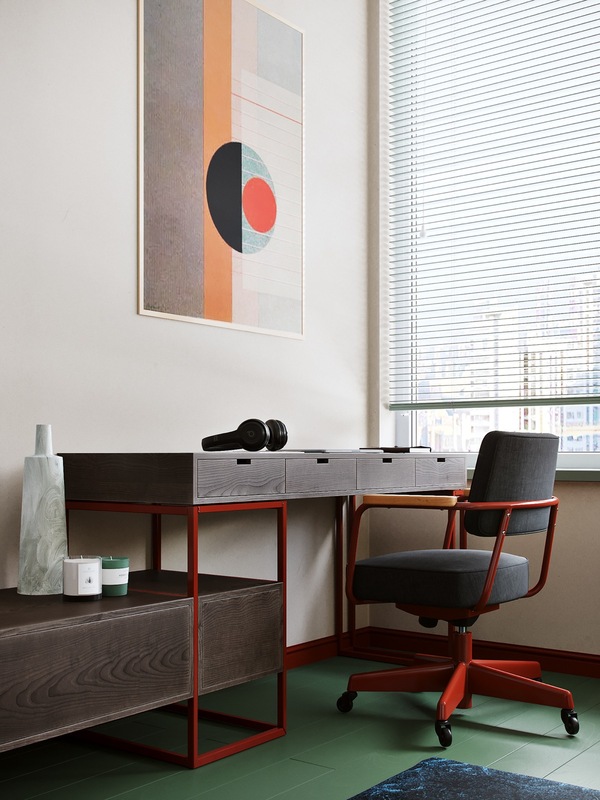 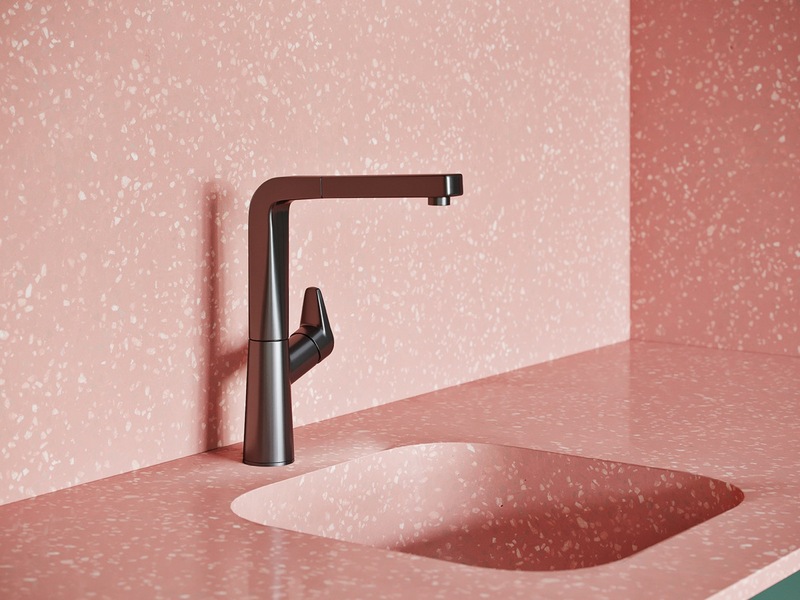 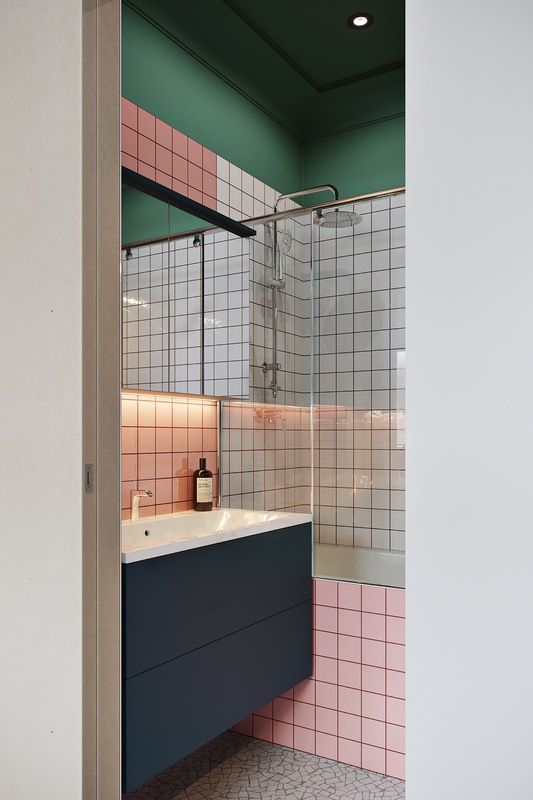 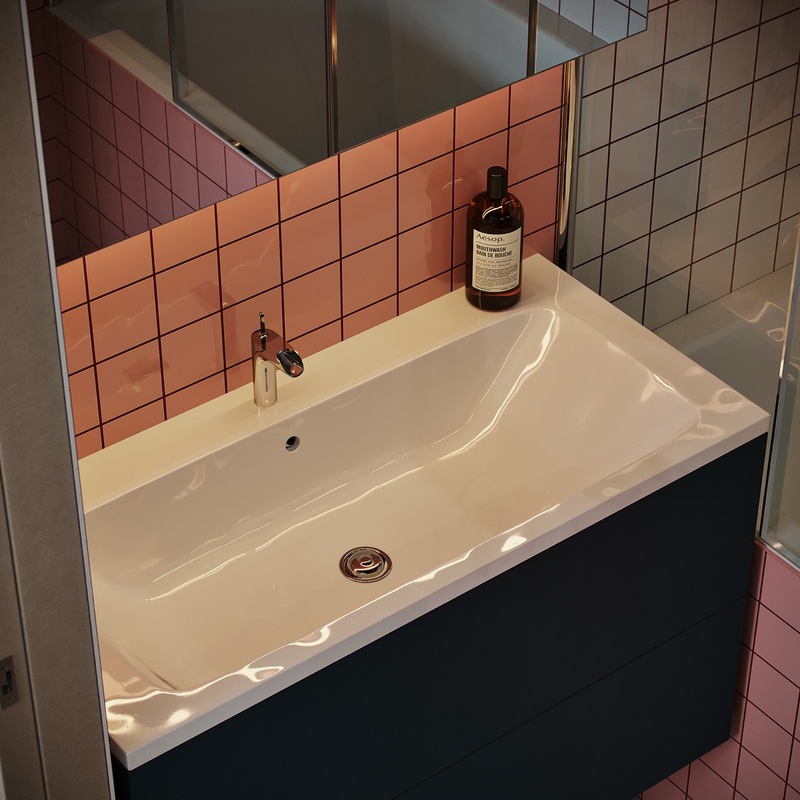 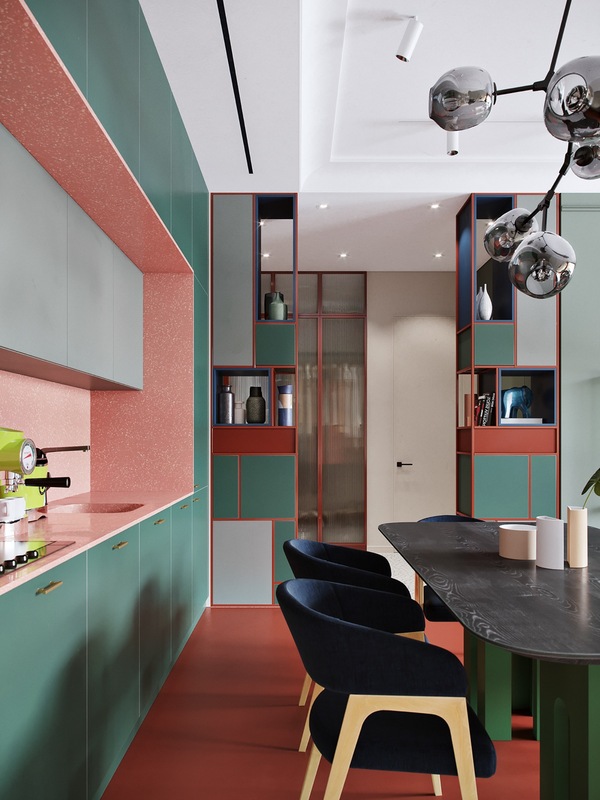 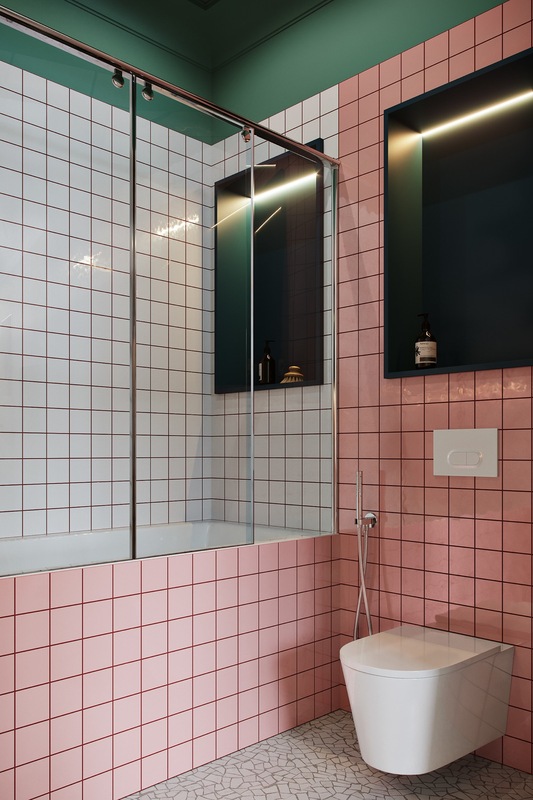 Unusual contemporary furniture design, bespoke shelving units, wall and ceiling paint colours and tiling are a clashing concoction of solid bold green, deep blue and muted reds that transition from rich russet tones all the way through to the brink of pink. 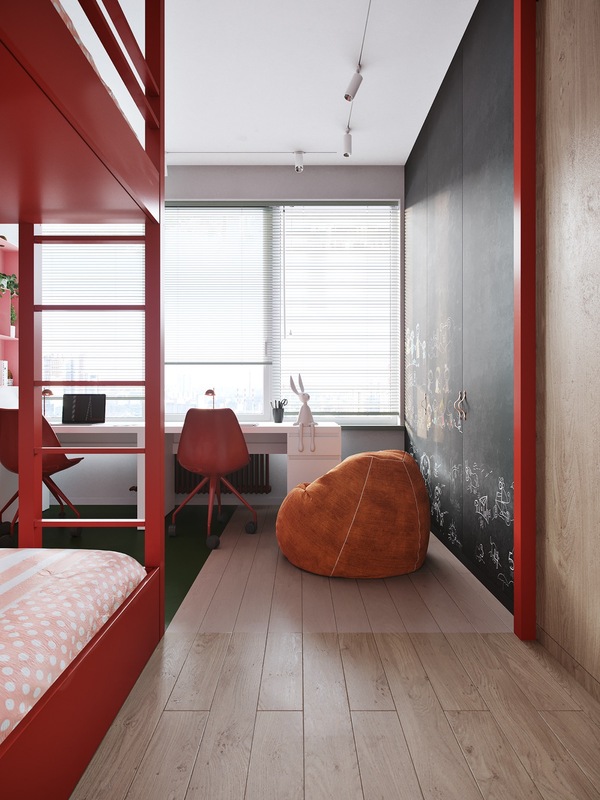 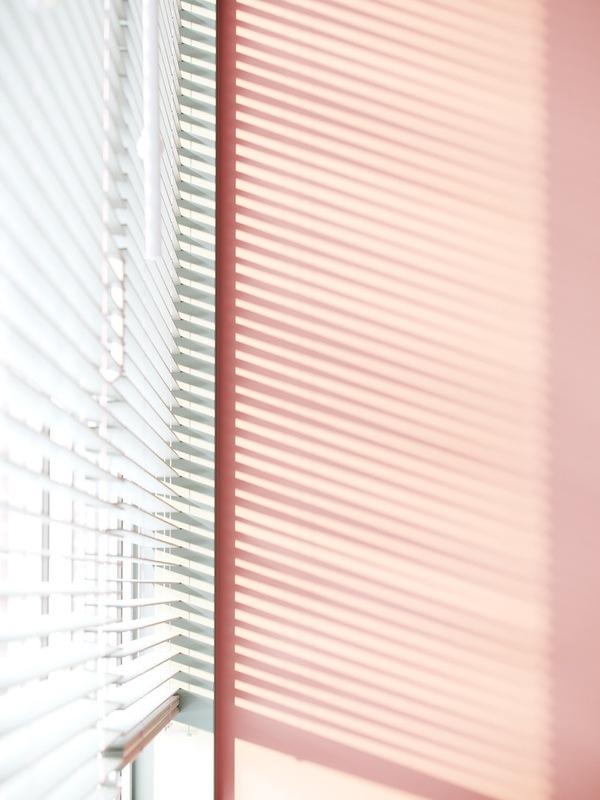 White spaces and wood tone balance the colourful scene. 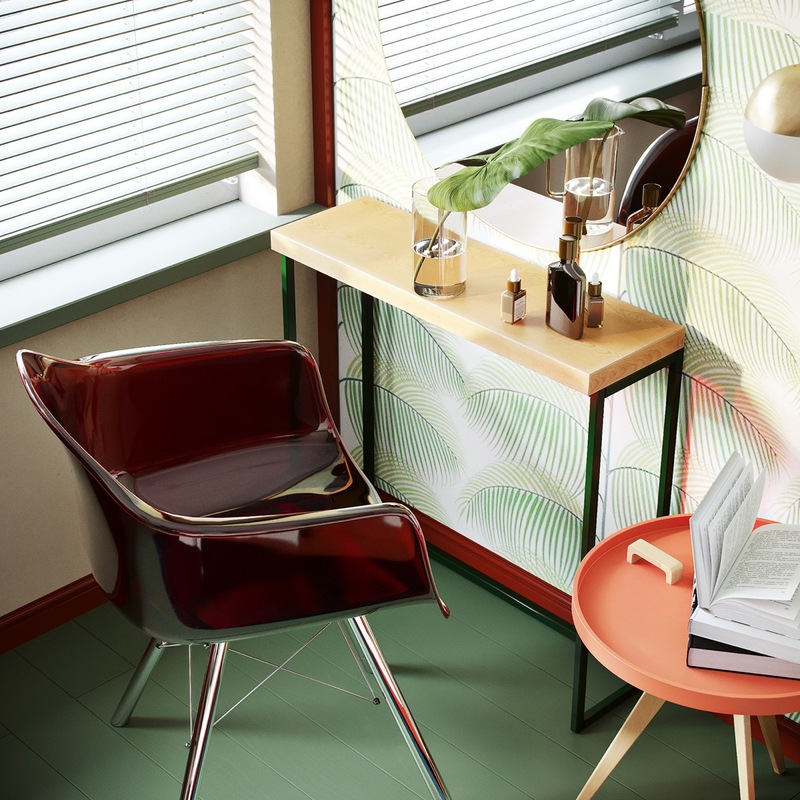 The red tinted acrylic vanity chair sits at a shallow table in front of a large round mirror.